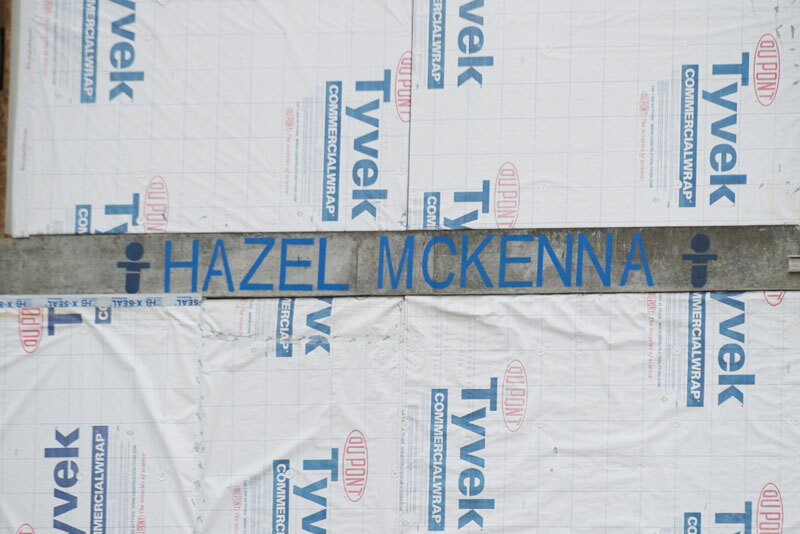 Hazel McKenna’s name appears on the facade of the Kay Jewelers Pavilion as a part of the 2014 Graffiti Project. “It encourages our belief that her life will not be forgotten,” said grandmother, Kelli McKenna, who with her husband created a palliative care fund in Hazel’s honor. Thanks to their generosity, Tom and Kelli McKenna are helping to ease the burdens on families with seriously ill children. Through the Hazel L. McKenna Memorial Fund, patient families with children receiving care from Akron Children’s Haslinger Family Pediatric Palliative Care Center will gain support for incidental items like parking, snacks, meals and more. The fund will also sponsor several of the center’s memory and bereavement services. The McKennas created the fund as a tribute to their granddaughter and in recognition of the service the center provided to their family. The couple felt it was important to help other families in the palliative care center, particularly those struggling financially. Kelli and Tom feel honored that the fund will sponsor a number of the center’s bereavement services that “go above and beyond,” such as family photography, clay handprints and footprints, and funeral assistance. Kelli said she and Tom hope that others will contribute to the fund to help it flourish for years to come. Contact Shelly Brown, director of principal giving at the Akron Children’s Hospital Foundation, at 330-543-8900 or mbrown2@chmca.org to make a contribution to the Hazel L. McKenna Memorial Fund.